Lying on a sunlounger in the shade, I’m recovering from one of the most random, fun nights out I’ve had in Dubai – at Grand Hyatt‘s annual Oktoberfest (an annual event second only to the Rugby 7‘s in terms of craziness, and closely followed by the Irish Village’s HopFest!) 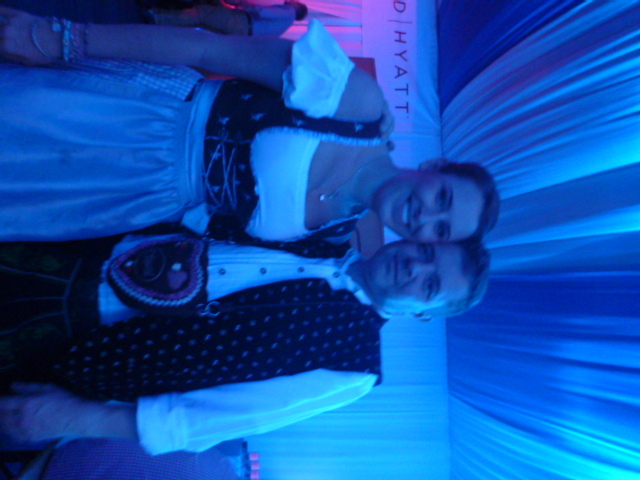 I have a lot of German friends here, one of whom has now left Dubai but was here visiting me last week, and it therefore only seemed right to make our way to the infamous marquee at Grand Hyatt, now in its seventh year. 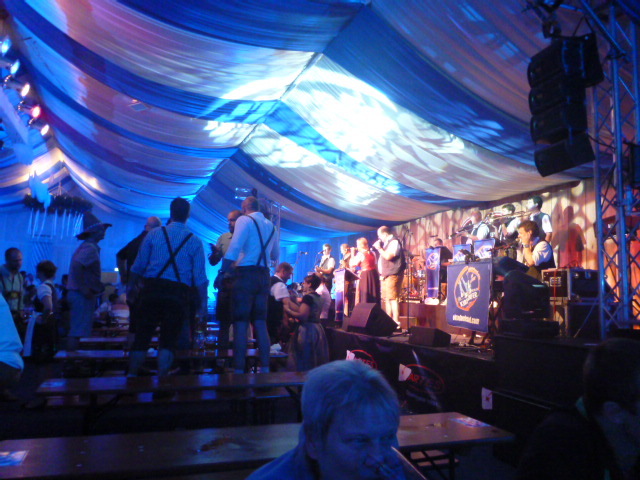 Next year I plan to attend the real thing in Munich, and for those with the same idea in mind, I thought I would speak to my German friends and share the details on everything you should know before you go (to Germany or to any Oktoberfest celebrations anywhere in the world). 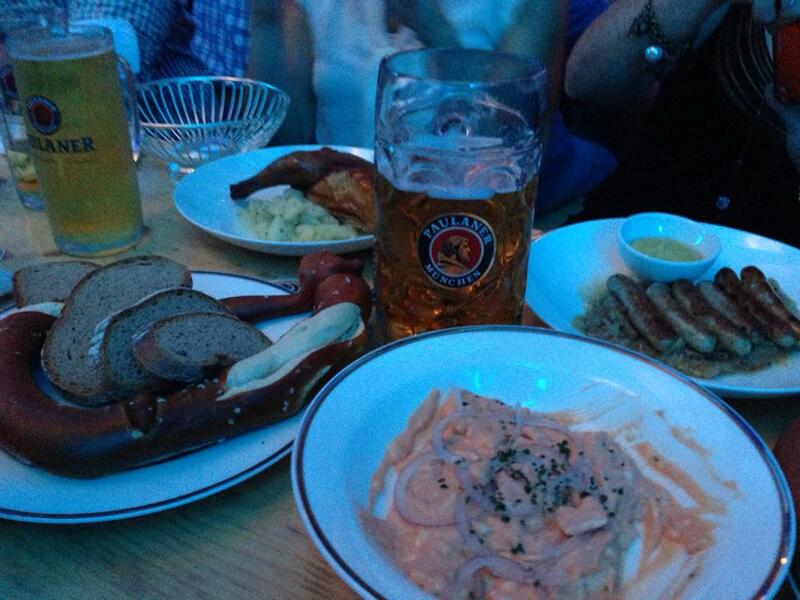 The traditional Oktoberfest, Muenchner Weisen, is held in Munich, Bavaria, during the last two weeks of September, and the popular event is now being exported across Germany and further afield to locations such as London, Shanghai and here in Dubai. 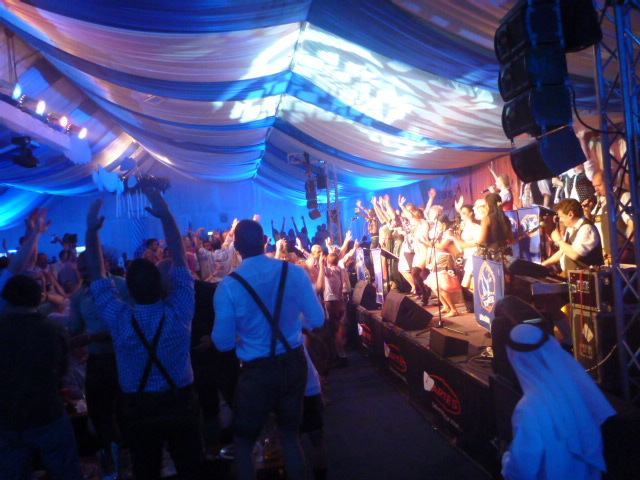 Celebrations here in Dubai are best experienced at the purpose-built marquee at the Grand Hyatt during October (the band is the original one from Munich so they have to finish up there before flying over). Don’t be surprised to see some unusual outfits. Bavarians will be kitted out in their traditional dress for the occasion, although I was reminded that this is not fancy dress and therefore non-Germans should not try to dress up for fun, unless they are with a group of Germans themselves. If this is the case, then you can buy or rent your outfits from stores or online, or if you’re here in Dubai you could look at getting them made at one of the many skilled tailors in Satwa. 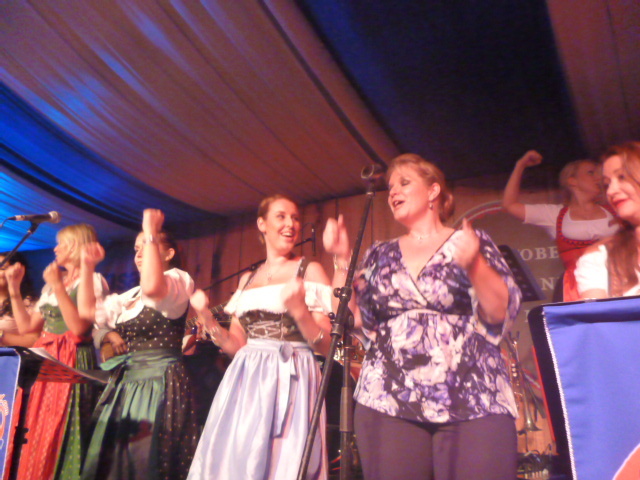 Ladies wear the dirndl – this consists of a dress, a square-necked, low-cut blouse (with a special bra to create the right effect apparently!) and an apron. Top tip – if you’re married, you tie the bow on right, if you’re single, it’s on the left. Those with long hair wear it up, plaited or in a bun, and the outfit is accessorised with a halsband (a type of necklace worn tight around the neck, or velvet ribbon-style choker with a brooch at the front) and chunky, charm-style bracelets. Most ladies wear high heels, but be prepared to take them off or carry flats for dancing on the benches later! Men wear the famous lederhosen, these come in a variety of styles, with or without braces, above or below the knee in length. These are worn with a checked shirt, knee-length wool socks, and hiking boot-style shoes. Brezn (a soft sourdough bread pretzel) with obatzda (a soft cheese dip/spread made from camembert, paprika and onion rings) or a plate of cold cuts to start. The most popular main dish is of course pork knuckle, served with sauerkraut, or hendl (half a rotisserie chicken) with potato salad. My favourite dish is Nuernberger wuerstchen (half a dozen small pork sausages) also served with sauerkraut, or weisswuerstl (boiled white pork sausages, served in a bowl of water) with brezn and sweet Bavarian mustard (the top tip here is that you should ideally remove the skin of the weisswuerstl before eating). 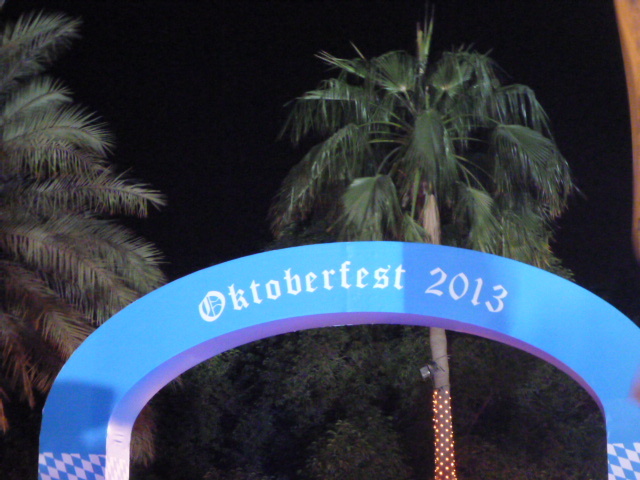 And now we get to the focal point of Oktoberfest – the beer! 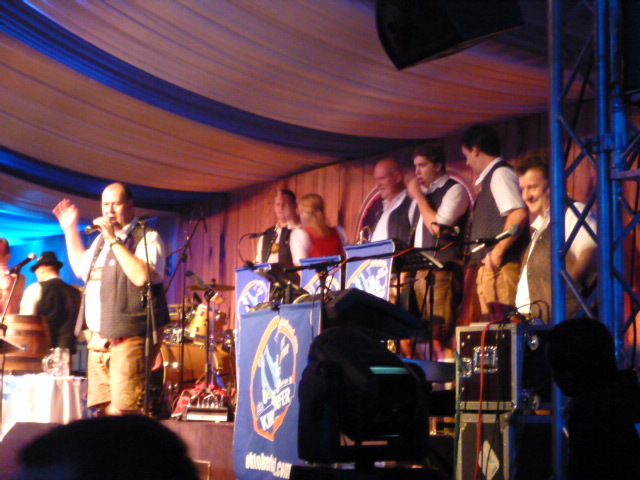 This year I attended the opening night and was therefore a witness to the opening ceremony where the guest (in Munich it is the mayor) uses a mallet to open the first keg of beer and pour the first drink. 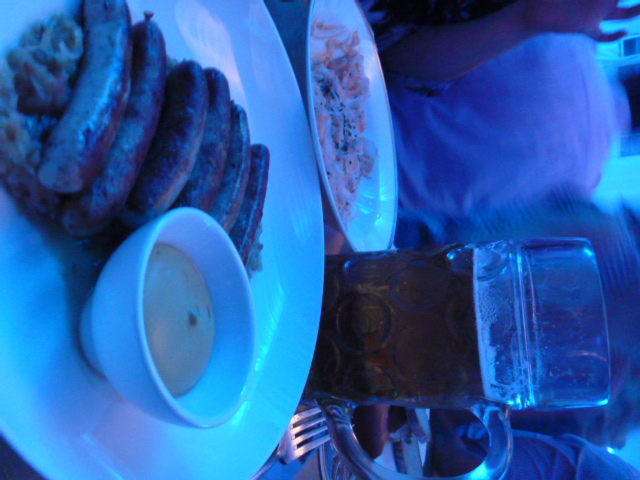 Bavarian beer flows quickly, so the locals order a Mass – a big glass with a handle, holding 1 litre of Paulaner or other local beer (I could barely hold it with two hands!) Those with less strength in their biceps can order a half mass. The other option for beer is a Hefeweizen (a tall glass of cloudy white wheat beer). As if the large overflowing glasses were not enough, the friendly waiters/waitresses bring wooden metres of Jaegermeister to the table throughout the evening. 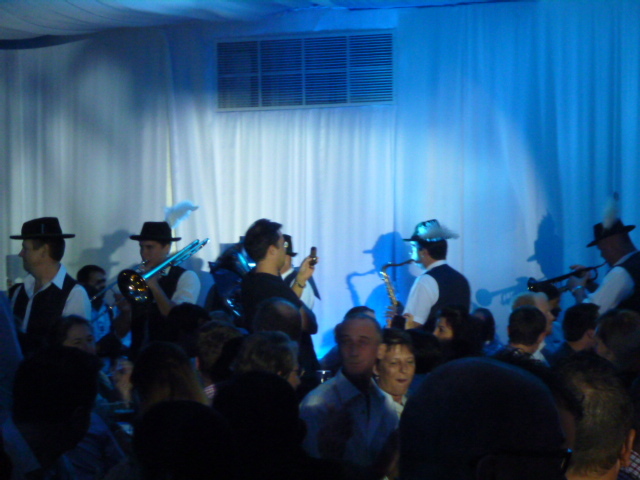 Aside from eating and drinking, the main entertainment comes from the band, who perform well-known songs that get the tables singing and linking arms to enthusiastically sway along on the benches. 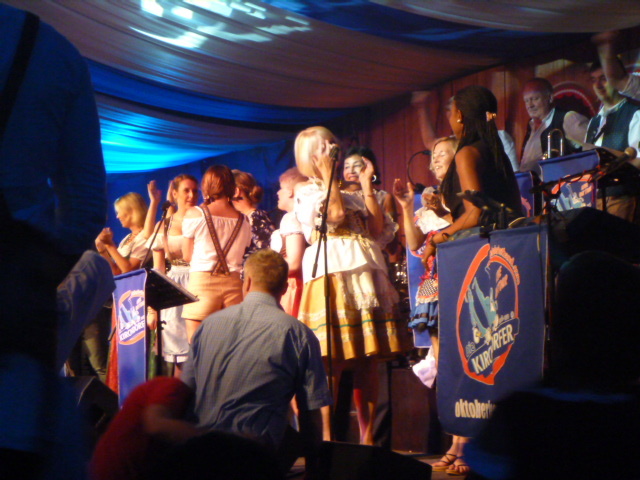 There are many drinking songs and chants, which get repeated throughout the evening and lead to everyone shouting in unison, doing a countdown and then saluting and drinking together. 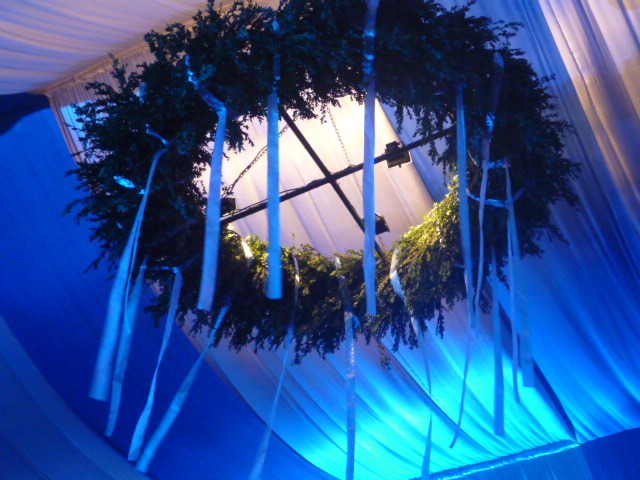 By midway through the evening, everyone is dancing on the benches, and conga-style chains form throughout the packed tents. In Munich, there is also the added thrill of a giant fun fair located next to the tents. 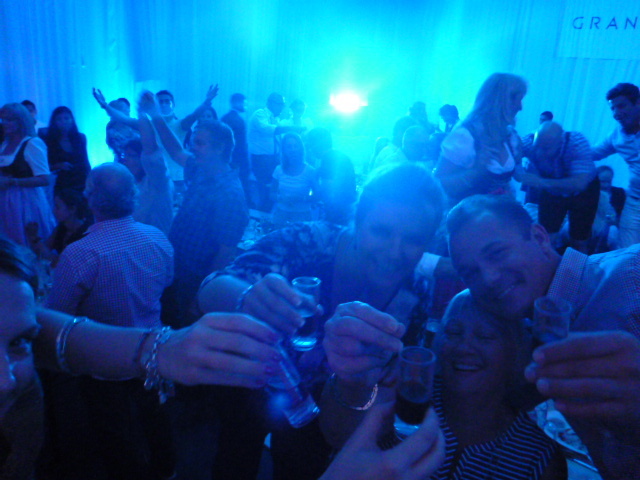 Bring plenty of cash – With a mass costing from around 10 euros in Germany, or AED 80 in Dubai, it’s not a cheap night! Keep an eye on your bench – remember the laws of balance, if everyone gets up from one side of the bench, while the other side remain seated, it’s likely to tip over, spilling beer all over those unfortunate people still seated (yes, I am talking from experience!) also watch out for those looking unsteady on the benches, if they take a tumble, they’re likely to pull the closest person over with them!